The city of Arequipa, in southern Peru, is the historic center of the Highlands Region, and it provides a banquet of cultural sites and natural beauty. 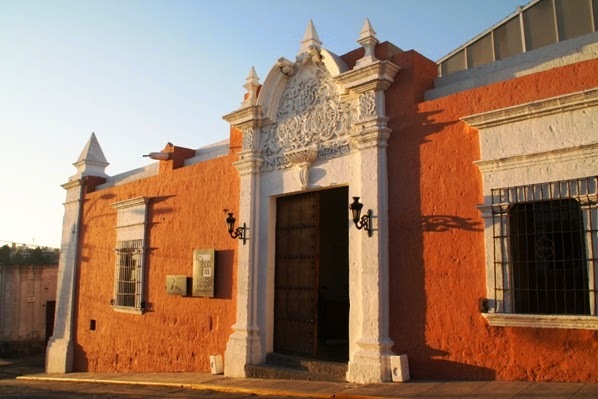 Its Inca legacy is overshadowed by remnants of the Spanish colonial period such as the renovated house that has become the foundation for Casa Andina. This Spanish mansion, named a National Historic Monument, has been expanded into a luxury hotel in the heart of town. It’s as much museum as hotel in this traditionally elegant city. Exterior of Casa Andina retains the Spanish architecture. After a restoration project that rescued the mansion from a century of neglect, the hotel opened in 2008 with five large suites containing original two-foot thick stone walls. One window in our suite opened to small private courtyard that was planted with tall, slender cacti. A pull string on another window allowed us to bring in light and air as needed. Luxury touches included an alpaca blanket, 10-light chandelier, and flat-screen television. High vaulted ceilings, original frescoes, and an original herringbone walkway of rocks embedded in stone maintain the colonial character. 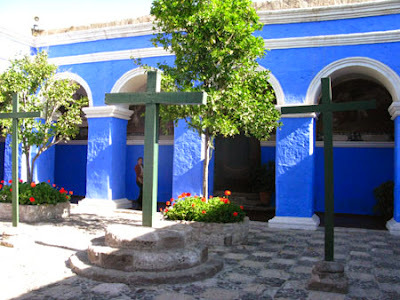 Interior courtyard of Casa Andina has comfortable areas for socializing. A modern two-story section with 36 additional rooms overlooks an open air sitting area made comfortable with cushioned wicker sofas and chairs. 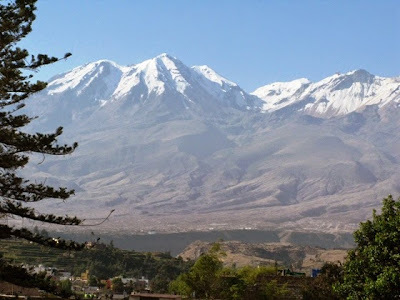 From the deck at Casa Andina, you’ll have great views of the volcano Misti and other volcanoes that surround the city. Casa Andina is surprisingly quiet, especially since it’s just around the corner from the renowned 16th century Santa Catalina Convent (heavily visited by tourists) and a few blocks from the main square. 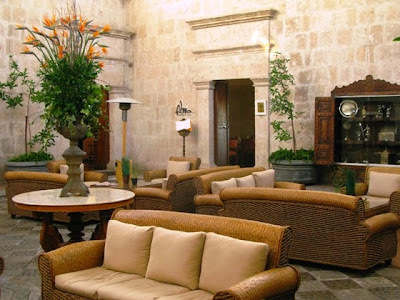 A full buffet breakfast is served at the main courtyard of this historic, yet comfortable, accommodation. Peruvian cuisine is attracting international attention these days. A short walk from the hotel takes you to a hive of activity in town and shopping opportunities. Be sure to tour the convent and monastery to hear remarkable stories about how the nuns lived there centuries ago and their modern day lives of religious service. 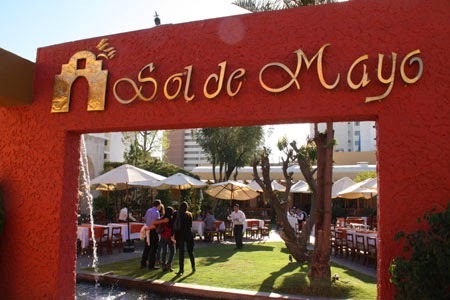 For Peruvian culinary specialties, dine beside the beautiful gardens of Sol de Mayo, a favorite restaurant of locals and tourists for more than a century. We visited Arequipa on a cruise and your post makes me want to return!